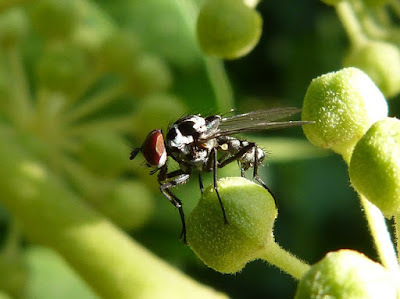 The Bot fly is a common name for several families of hairy flies whose larvae are interval parasites of mammals , some species growing in the host's flesh and others within the gut . So far there is only one species of Botfly reported to parasitism humans. The easiest and most effective way to remove botfly larvae is to apply petroleum jelly over the location , which prevents air from reaching the larva, suffocating it. It can then be removed with tweezers safely after a day.